There are only two sports from my childhood. Gymnastics (and with that came tap, jazz, ballet and modern) and fast-pitch softball. I played for Chesterfield Athletic Association. Mainly catcher. Occasionally pitcher. Never played the field. I was a pretty good batter but my strength was in my arm, and throwing to second base. The same core group of girls played every year. One thing we always did, my mom and I, was to throw the ball around outside - back and forth - during the spring, summer and fall months. 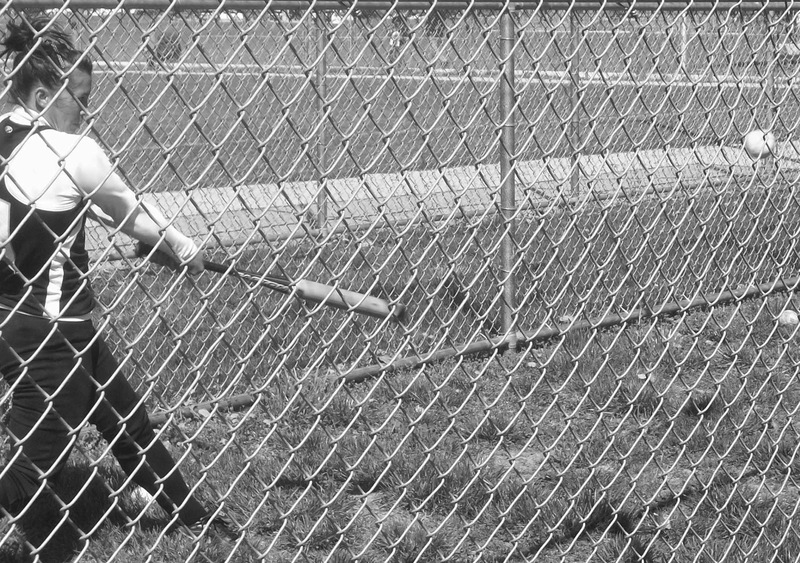 My summers were filled with softball and I enjoyed playing. We became involved because my mom was always on a team. We used to go to my mom's games, and I remember watching the windmill fast-pitch pitches and then the smack of the catcher's glove (or alternatively, the crack of the bat). My mom even played while pregnant with my little sister. When I was younger, during these practices or games, I would play in the dirt or behind sagging benches. By the time I was 10, I am pretty sure my mom wasn't playing anymore. I remember seeing the St. Louis Hummers practice when I was 7 or 8, and being in awe them. I especially loved the windmill style fast-pitch. Hummer's Roster >click here< Check out the pdf at the bottom of the link. International Women's Professional Softball League (IWPSL) is the league they played under. It all folded after the 70s. Such a shame! Tribute pdf can be found here. It was photographs of Alia's friend's baseball game that brought up this memory for me, and now makes me want to go out to purchase gloves for Alia and I. Wonderful way to bond. However, when I threw a soft dog toy to her the other day to put in the doggie bin, she screamed, turned and let it fall to the ground. LOL It might be a challenge!